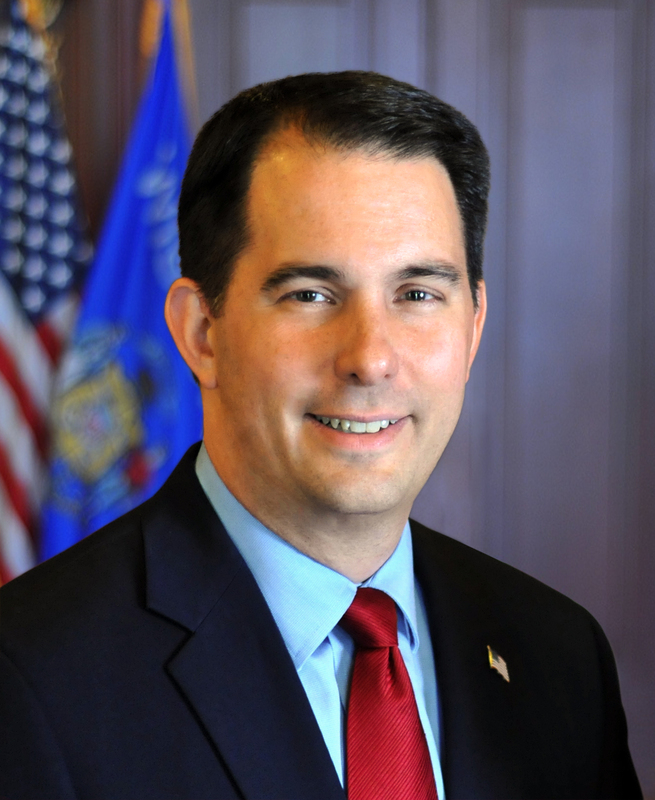 Madison – Governor Scott Walker announced a new contract to increase broadband capacity on the BadgerNet Converged Network (BCN) and save taxpayers $8 million annually. Joined by State Superintendent of Public Instruction Tony Evers, Governor Walker will visit the school districts of Cuba City and Southern Door to discuss the benefits of the BCN contract, as well as highlight the availability of $9 million in TEACH grants. BCN is a statewide network serving all 72 Wisconsin counties by providing wide area network, internet transport, and video applications to state government and educational entities. This includes state technical colleges, pre-Kindergarten through 12th grade schools, private colleges, and charter schools. Effective November 1, 2016, state agency customers and the TEACH program on the existing BCN will realize a seven percent savings on their current BCN service rates at 1.5 megabytes per second and above. This provides for a level of costs savings to customers until they migrate to the new BCN beginning in February. As customers migrate to the new network, they will receive increased bandwidth at lower cost based rates negotiated with the new contract. Additionally, retroactive to July 1, 2016, Technology for Educational Achievement (TEACH) educational agencies are eligible for a bandwidth increase at no additional cost. The current $100 per month rate provides increased bandwidth capacity from 20 megabytes to any bandwidth increment less than 1 gigabyte. Many educational agencies participating in the TEACH program at bandwidths less than 1 gigabyte will receive a rate reduction of $150 a month as a result of this change, compared to the $250 they were paying. Administered by the Department of Administration (DOA), the new contract between the state of Wisconsin and AT&T, including its partners, will provide significantly higher broadband speeds at a lower cost, saving the taxpayers nearly $8 million a year. Once upgrades and migrations are completed, the total for BCN customers will exceed 400 gigabytes of capacity compared to the current 90 gigabytes of installed bandwidth capacity. DOA is now accepting TEACH grant applications with $9 million available to school districts. Up to $1.5 million is available in Teacher Training Grants for Educational Technology to provide support for districts to attend, arrange, and administer training activities that build the information technology knowledge and capacity of teachers and up to $7.5 million is available in Information Technology Infrastructure grants to provide support for districts to acquire the equipment and services necessary to build a modern infrastructure system in their district. Click the links for more information about the grant requirement or reimbursement process for Teacher Training Grants for Educational Technology or Information Technology Infrastructure Grants. Please let us remember that in 2011 our governor refused $23 million in federal stimulus money to provide high speed broadband to rural Wisconsin. Now he says he is saving the taxpayer $8 million dollars. I am poor at math but it appears we could have brought Wisconsin into the 21st century in 2011 with no taxpayer money. Maybe this is why Wisconsin is just now coming out of the recession. $188/month for 1.5Mbps download speeds? Welcome to the future, Wisconsin!